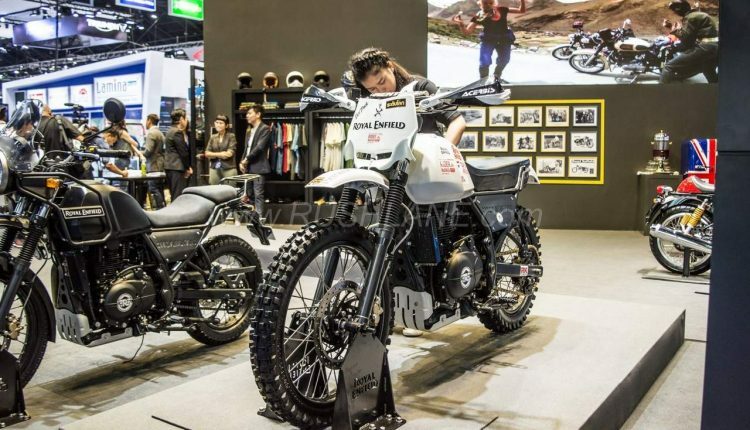 At the recently concluded Bangkok Motor Show 2018, Royal Enfield showcased an interesting concept. 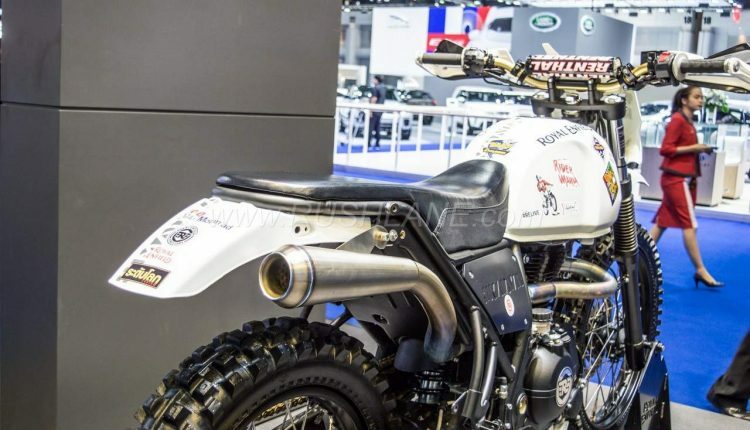 Based on the Himalayan, Royal Enfield put up a modified motorcycle on display which looked rather good. 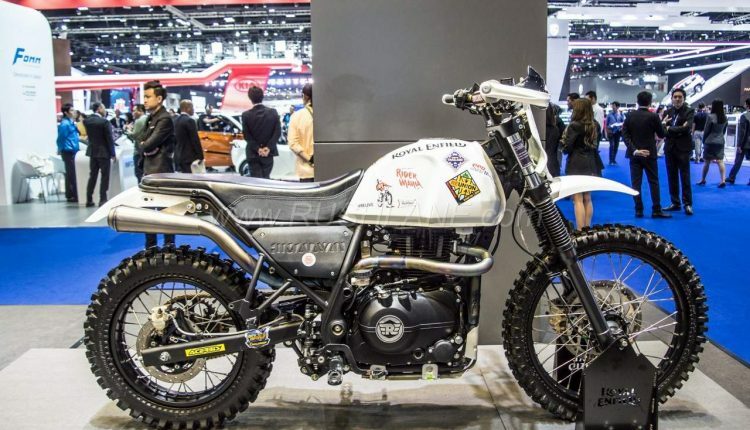 Let’s term it as the Royal Enfield Himalayan Scrambler for now. This however is just for posing at the expo, and is not going to be launched as a production model. 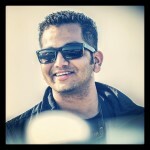 But considering how good it is looking, we wish Royal Enfield does think about it. 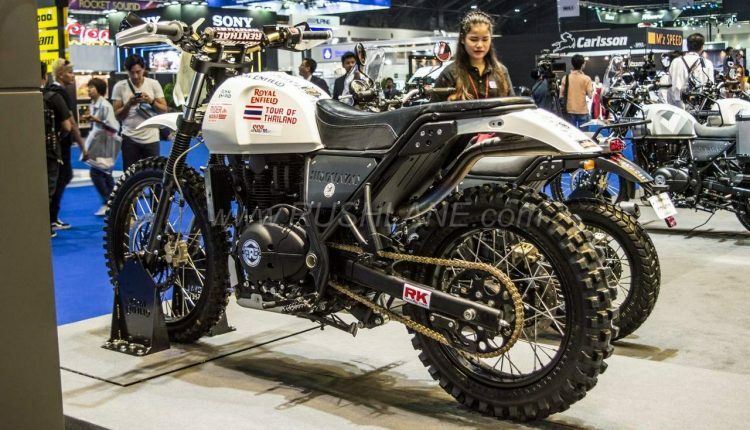 Nevertheless, for now, for Himalayan owners, this could be a new modification goal. Changes seen on the Royal Enfield Himalayan Scrambler include knuckle guards, flat-track style headlamp replacement plate, knobby tyres, flat seat, reworked front & rear mud guard, new chain, new full system exhaust mounted higher, different handlebar, no crash bars and no tail lamp to be seen. Powering the Royal Enfield Himalayan is a 411cc, single-cylinder, 4-stroke, air-cooled, SOHC, fuel-injected petrol motor producing 24.5 BHP of power @ 6500 RPM and 32 Nm of torque @ 4250 RPM matched to a 5-speed gearbox. So, did you like this concept?